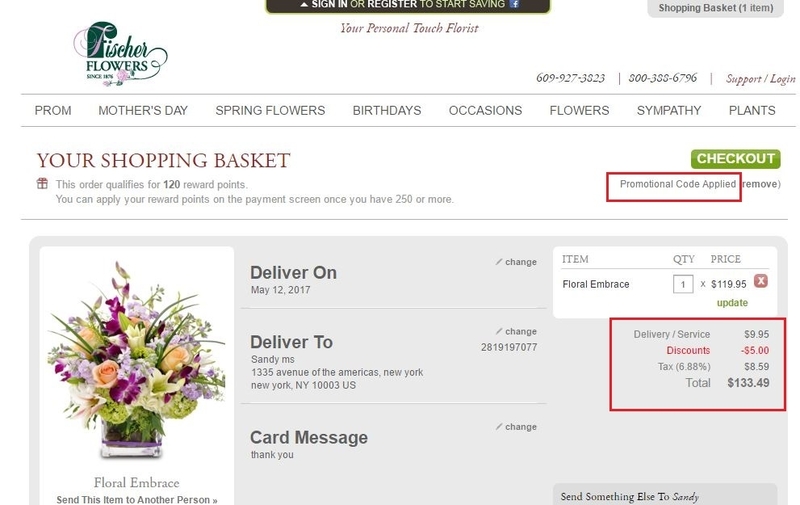 Sandy The code is valid, it was verified and works correctly, select the product you are going to buy, go to the shopping cart and apply the code before finishing the purchase to get the discount . 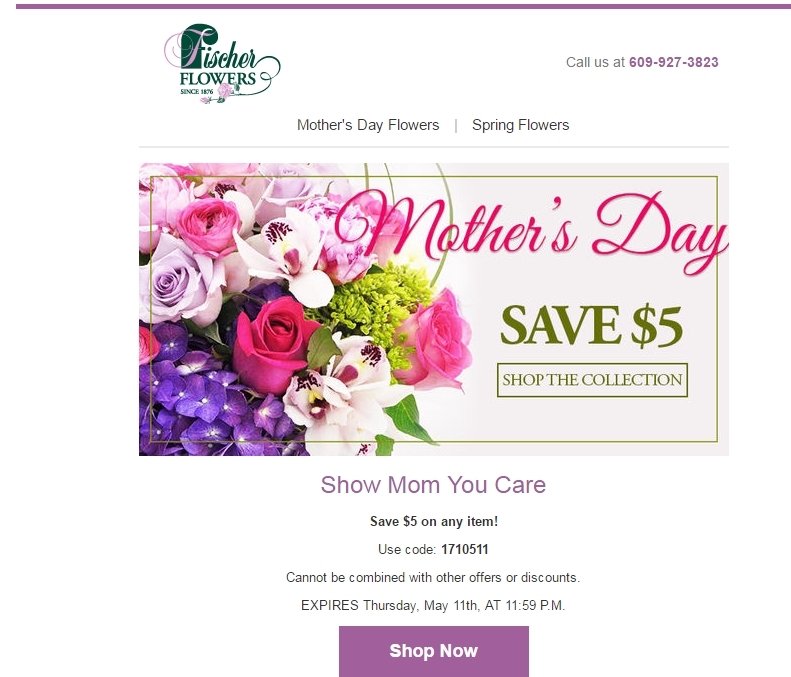 Save $5 on any item at Fischer Flowers. Laura DeLuca Save $5 on any item! Use code: 1710511 Cannot be combined with other offers or discounts. EXPIRES Thursday, May 11th, AT 11:59 P.M.